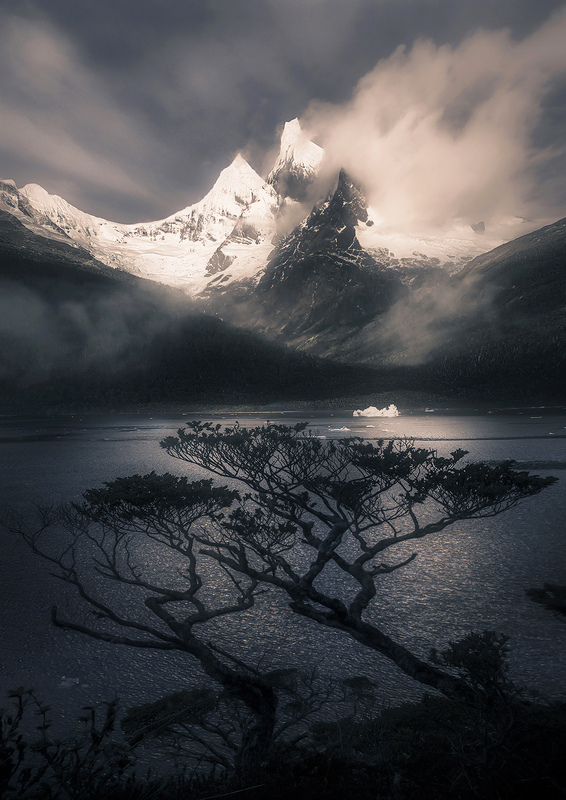 Incredible Coigue trees grow from the temperate rainforest that is the south Chilean Fiords. I scrambled ashore from our zodiac to shoot these one evening, with enormous and unexplored/unnamed peaks in the background clearing out of the clouds 8000ft above us. . Photo © copyright by Marc Adamus.